George Poveromo’s in-depth knowledge of marine angling is the result of a lifelong passion for fishing. In 1983 he was recognized by Motor Boating & Sailing as one of the top eight anglers in the country - at age 23! His numerous feature articles in Salt Water Sportsman reflect his extensive background and expertise in saltwater fishing, and he has been on that publication’s masthead since 1983. George is well-known as the producer and host of the immensely popular Salt Water Sportsman National Seminar Series, the nation's longest-running and most successful educational course on recreational marine fishing techniques. Now into its 32nd consecutive year, the National Seminar Series is an institution in the salt water sport fishing community. The tour visits eight major cities annually, and has educated over 140,000 anglers since its inception in 1988. 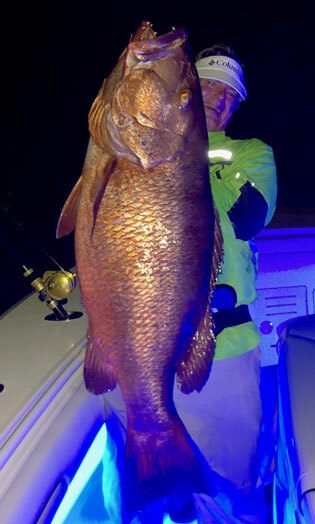 Most notably, George is the producer and host of the immensely popular, nationally-televised series – George Poveromo’s World of Saltwater Fishing. Through his hit television show, which has been airing for 19 years now, George teaches viewers how to catch a wide variety of game fish, from exotic species like blue marlin and bonefish to regional favorites such as dolphin, wahoo, tuna, king mackerel, striped bass, grouper, snapper, bluefish, redfish, flounder and numerous others. Filming occurs along the coastal U.S. and popular angling destinations abroad, and George is usually chasing the big ones down aboard his new Mako 334 center console, MARC VI. George is a life member of the Florida Coastal Conservation Association, and serves as their Offshore Spokesperson. He’s also on the board of Fish Florida, a non-profit organization which helps people, especially children, learn about fishing and Florida’s environment via proceeds from the sale of the state’s specialty sailfish auto license plate.George is a South Florida native and University of Miami graduate. He makes his home in Parkland, Florida. George Poveromo will Host the 2019 Salt Water Sportsman National Seminar Series.